Hyundai is bucking the trend of August being a quiet month for used car sales by achieving a 100% success rate at a recent dealer online auction. 40 Hyundai dealers logged onto the electronic auction and bought all 39 cars for an average 105% of CAP Clean, reinforcing the brand's continued strong performance in the used car sector. 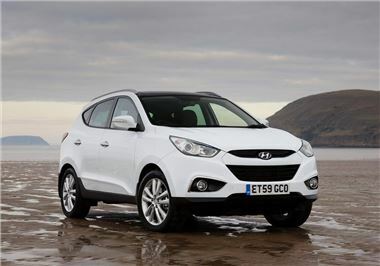 The recently-launched Hyundai ix35 made its used debut during the sale and was the star performer with the five cars sold achieving 113% of CAP Clean. "August is not historically a strong month for used car sales, as dealers clear their forecourts for the part exchanges they expect to generate from September new car activity," explained Gary Spurdens, national remarketing manager, Hyundai Motor UK. "The results from the online auction reinforce the strong demand our dealers are experiencing for used Hyundai cars," he added.